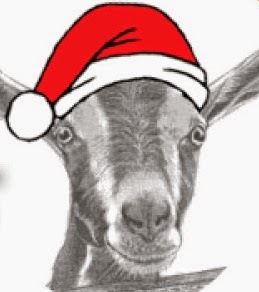 Ellie's Dairy - The Finest Goat Milk, from Kent: Merry Xmas everyone! The goaties and their humans at Ellie's Dairy would like to wish you all a very Merry Xmas! As is now traditional, I leave you with a delightful piece written by a goatkeeper in Wales.